The Santa Lucia Highlands is a wonderful AVA or American Viticultural Area located within Monterey County, which is about two hours, depending on traffic, by car south of San Francisco. Monterey itself is an AVA, but the SLH climate, soil and geography are unique enough and qualify it for AVA status on its own. You can taste the specialness of place in the offerings of its producers. 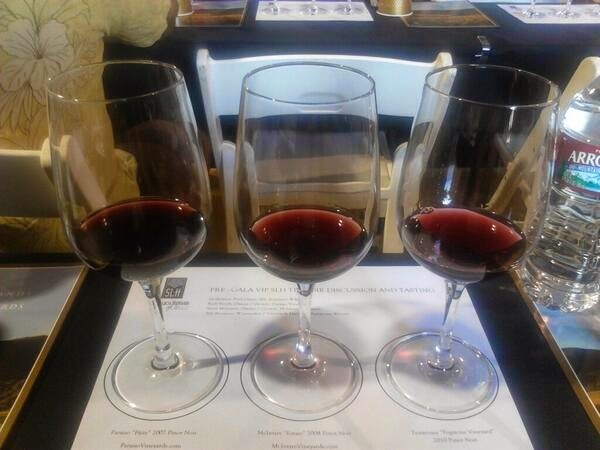 Poor soils that cause the grapes to struggle, which, along with the cool maritime influences from beyond the hills to the West, end up making delicious wines. The region plants predominately Pinot Noir and Chardonnay, but also grows many other varieties including Riesling, Syrah, Pinot Gris and even Souzao, which Paraiso puts in a Port wine. Photo Wagner Family Wines I wonder if those cement eggs are filled with delicious Mer Soleil Silver? 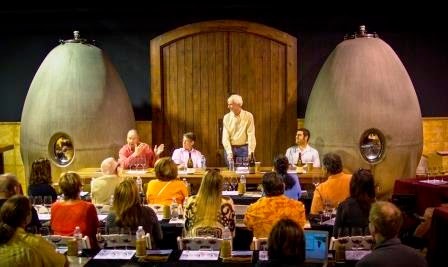 Santa Lucia Highlands is home to dedicated vintners and growers, some of whom are the one and thesame like panel member Steve McIntyre, he, of the intersting and eponymous Tasting Studio ---wine, spa and shopping: any questions?. Steve edu-tained us at the pre-Gala seminar on interesting history of the region and his career path. 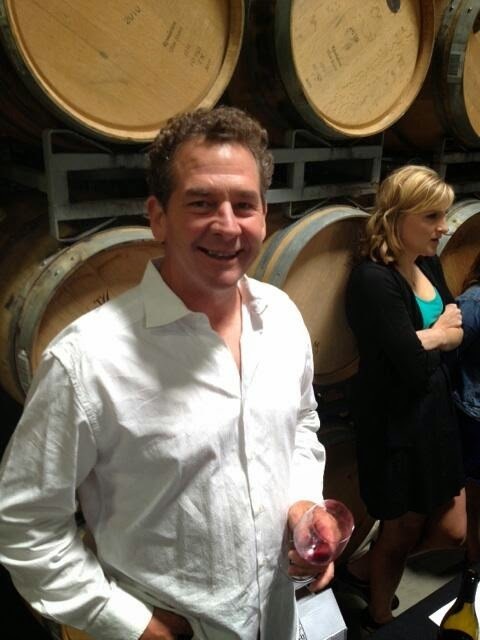 Fellow panel member Bill Brosseau of Testarossa Winery, entranced us with his "Grape Whisperer" tales. 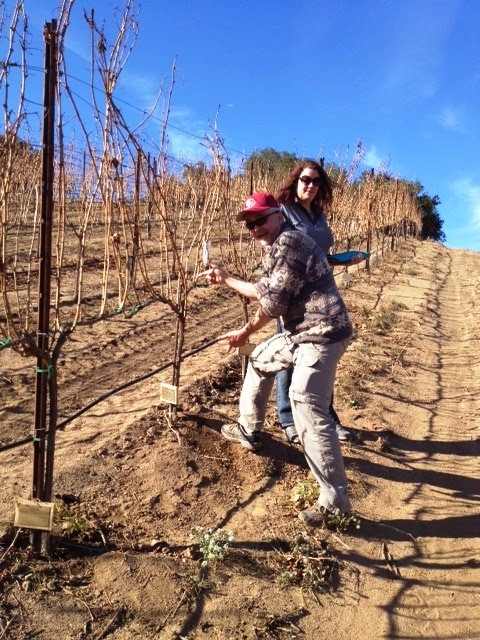 Bill walks the rows and lives with the fruit to better understand how to coax it into the best wine it can be. His perspective on Pinot Noir, which derives its tannins from its pips and so must be grown from the inside out, as opposed to Cabernet Sauvignon which is grown from the outside in, since its skins drive it, was as interesting as it was delicious. We came away laughing and ready to try all the wines. Hahn Family Wines, SLH, Lucienne Hahn Family Wines are investing in their SLH winery and making it into a destination. Culinary tours of their vineyards as well as ATV tours so you can be a daredevil in their vineyards no matter what your fitness level, are waiting for you to explore. Lucienne draws it name from intersection of Nicky Hahn's middle name as well as a riff on the region's name itself. Three vineyards Smith, Doctors and Lone Oak ,are candidates to become Lucinenne. I have a soft spot in my heart for Smith because its delicious and because I have a vine in the Blogger's block which is in the Smith Vineyard. Dark, delicious and SLH Pinot Noir. Hawks View: I was familiar with this Oregon producer and their tasty Pinot Gris. So it was fun to meet the team in person and also to taste the Pinot Noirs from SLH these Oregon folks make. Lovely typicity of the region, with perfumey aromas and complex flavors. Soleil Silver, which comes in a cool (literally ) ceramic bottle. Completely unoaked, it delivers the crisp morning breezes directly to your palate on float of golden fresh flavor. We also got to try some of the other offerings. It was nice to see ground zero for wine production. Wine: What are you waiting for? ...to which I concur and am off to crack open some SLH wine right now! The first time I tasted a wine from the Santa Lucia Highlands was at the wonderful restaurant Coi in San Francisco. Fragrant, redolent with fruit without stamping its passport for fruit bomb territory, that wine made me want to try more. 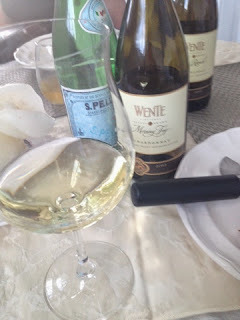 Which led me to the wonderful Hahn wines and then on to Mer Soleil, which is my go to gift wine, since everyone I have served it to has loved it. Golden, refreshing, special. Mer Soleil Silver in the ceramic container has been with me on cruises, in hot tubs and dazzled my friends while quelling my enemies. Hey. Keep them close and serve them good wine, I always say! This Saturday, I get to go on site to learn more about the wines, meet 30 producers and revel in the lovely area that is Santa Lucia Highlands. You can too as tickets are still available here Although, sadly the pre-event special tastings are fully subscribed. As so many delicious locales in California, warm soils are situated to take advantage of cooling maritime influences. This effect distinguishes this area and enables the production of lovely Pinot Noirs and Chardonnays. 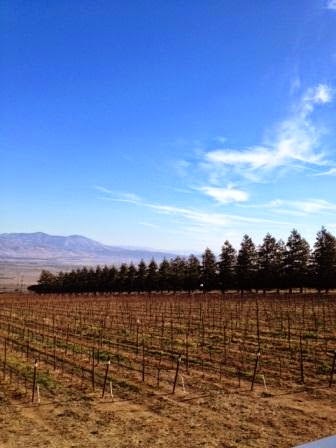 But different than many areas, the Santa Lucia Highlands has a lot to still develop. It's a great place to add to your list as must see, so you can watch wonderful producers enhance your experiences and ply you with more divine wine. Talbotts. Morgan, Mer Soleil Hahn are brands that to me connote deliciousness. I look forward to trying their wines as well as discovering new favorites. See you there! First up was the Morning Fog Chardonnay. 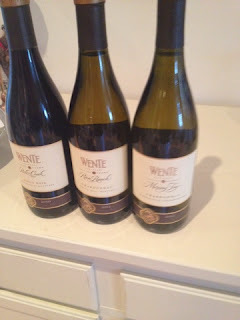 Named for that delicious cooling blanket of fog that makes Livermore such a special place, it also produced fruit that Wente coaxes into a refreshing interesting Chard. 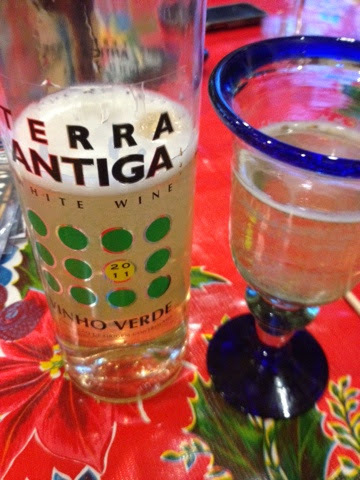 Aromas of green fruit with a mysterious hint of the tropics and crisp flavors. The oak treatment was 50% neutral French oak, American oak and Eastern European oak which ends up being a balanced melange. The other half is stainless, which the winemaker notes credit with preserving natural fruit flavors. It went great with the pear Gorgonzola pizza I made. Nice acidity made the wine food friendly At $12 a great buy. 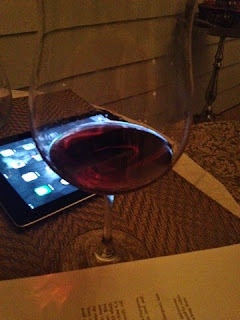 The 2010 Reliz Creek Pinot Noir ($28) we paired with conversation. This wine comes from Arroyo Seco in Monterey County. The aromas had great typicity of the area rich with red fruit a touch of spice and tobacco. The flavors were tart with a nice finish. Totally recommend both for your sipping pleasure as we bolt into the dog days of Summer. woof! Just a note, they all have AC!